Connecting all members of the community is the focus of our work here, at Scottsdale Community Partners. We are proud to be available for families during a time of need and one of our largest resources for local families is to provide assistance through the Scottsdale food bank at Vista del Camino. The Vista del Camino Food Bank is located on-site at Vista del Camino Community Center. This integral building-block of our community serves local families in the greater Scottsdale area by supplying thousands of people each year with non-perishable food items and toiletries during hardships and times of need. 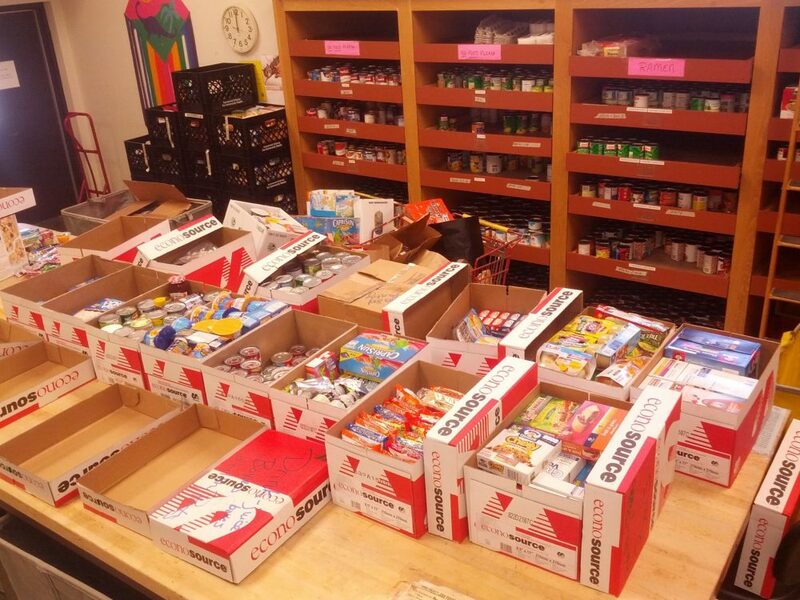 Families that come to us are given boxes of food put together by local Scottsdale food bank volunteers and are filled with donated items from generous Scottsdale residents like you! Non-perishable food items that are always in need are peanut butter, boxed food items, and canned goods like soups or tuna. We also accept brand new toiletries and useful items such as blankets or sleeping bags. Counselors are on staff to meet with each Scottsdale resident that comes to us in need. Boxes of food and toiletries are given to ensure that nutritional and personal needs are met. To effectively accommodate the individuals that come to the Scottsdale food bank for relief, we rely on generous donors in surrounding areas and across the country. There are many ways to give to the Vista Del Camino Food Bank including monetary donations through our secure online portal, by volunteering time to assist with receiving, sorting and packaging, and also through donating the non-perishable foods, toiletries, and everyday items such as towels, blankets and sleeping bags that we supply to those in need. Our success and donations rely on people just like you! Whether it is through our online link or in person, your help and contributions are immeasurably appreciated on multiple levels. Thank you!